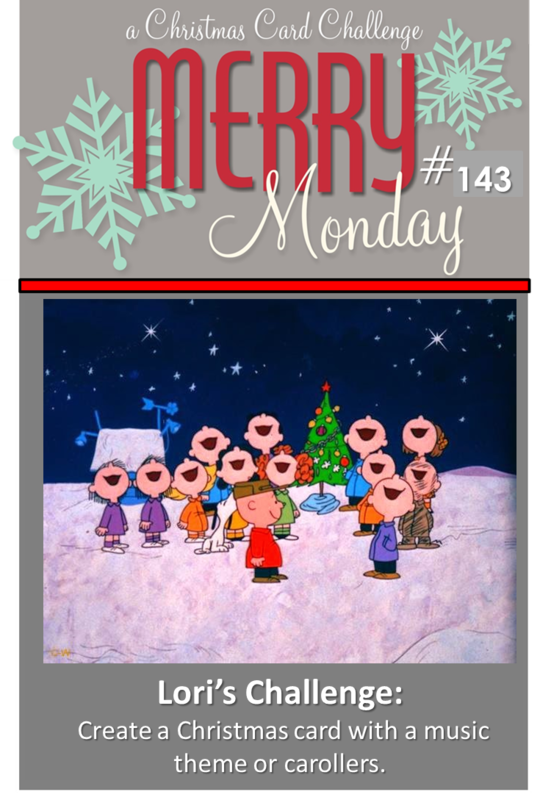 Sing joyfully!....it's time for a new Merry Monday Christmas Card challenge! Lori is our host this week and she challenges us to create a Christmas card with carolers! It was perfect timing for me as I just bought this Die-versions carolers die. I love the font of this sentiment from Simon Says Stamps too. Check out the fabulous creations of the Design Team and hope we inspire you to play along this week! Beautiful sentiment, Kathy! I love it with the holly! 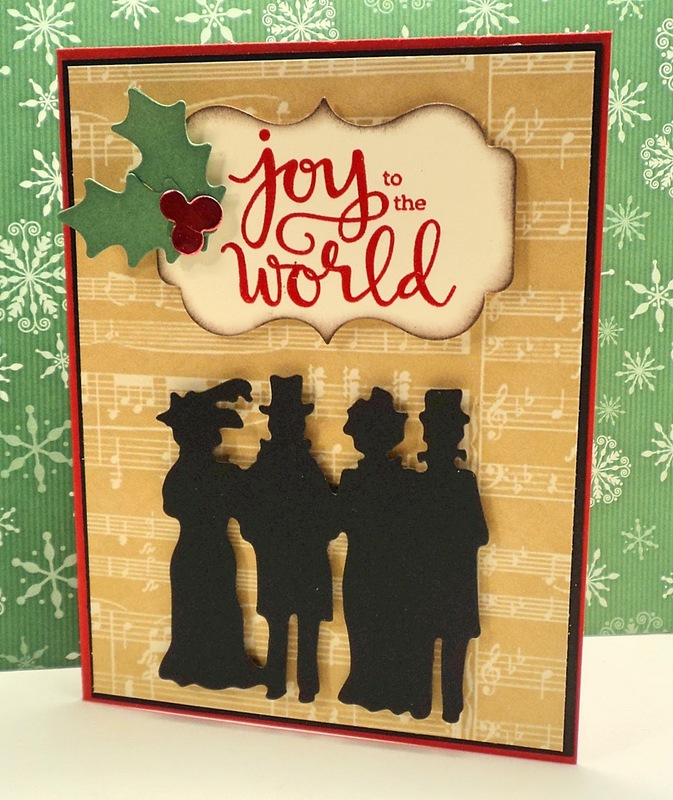 And the silhouettes of the carolers is so perfect for this challenge! Oh, I love those silhouette carollers. They look perfect on the music background. Beautiful! I love the colours you chose!! Love the silhouetted singers and that musical paper is the perfect "accompaniment"! Great die choice, Kathy! Love the background paper too. Just perfect. Wonderful card Kathy, I love the silhouettes and the vintage look to your card. 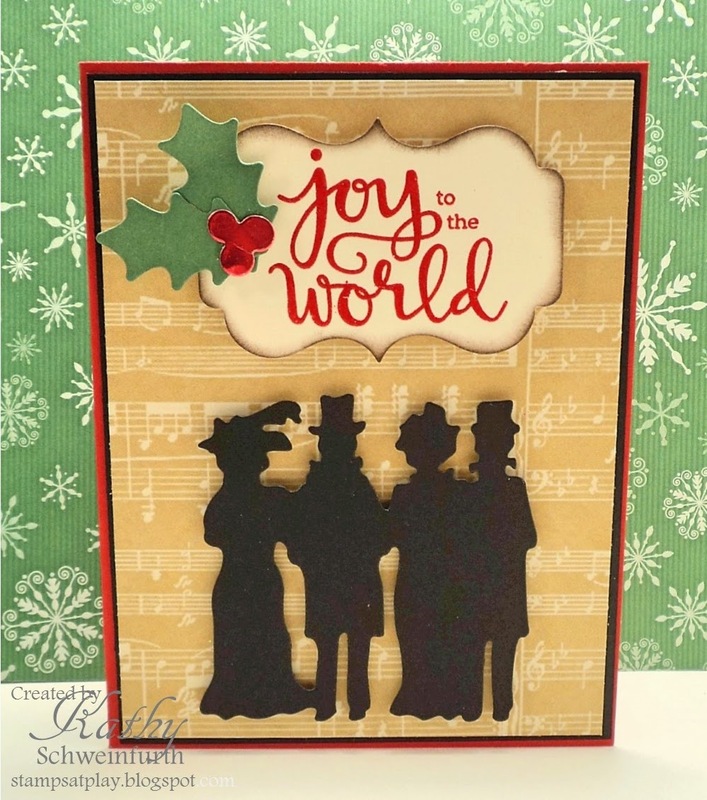 Love these silhouette carolers and the sentiment does indeed have a wonderful font! Gorgeous card! This die is to die for (sorry!). I like how you made the black to resemble silhouettes and love the music notes paper! Great image of the old time carolers in silhouette. What a fun card overall! Just love that Die-versions image and what you did with it, Kathy! Thanks for the inspiration at Merry Monday!